The Canadian Wildlife Federation’s mission is to conserve and inspire the conservation of Canada’s wildlife and habitats for the use and enjoyment of all. The Canadian Wildlife Federation conducts its activities through a cooperative approach – working with people, corporations, non-government organizations, and governments to inspire collaboration in achieving wildlife conservation. We will use the best available science-based information to develop our policies, programs and communications. CWF prides itself in being accountable and transparent in fulfilling our mission. CWF engages over 575,000 people and reaches over 2.5 million each year who join us in working from coast to coast to maintain something very important — a bright future for Canada’s wildlife. The Canadian Wildlife Federation believes in conserving Canada’s wildlife and encourages the wise use of our natural resources. We believe in living sustainably for future generations. Canadians should be able to enjoy the outdoors for all it has to offer through gardening, hiking, fishing, canoeing, camping, bird watching, swimming, wildlife photography, and so much more. Since our inception in 1962, we have worked diligently to foster this Canadian way of life. We deliver programs that encourage people to experience the great outdoors, learn about the wonders of nature and the trials it faces. We also challenge government and industry to improve legislation and practices that negatively impact wildlife and habitat. We conduct and sponsor scientific research to help better understand how we may help wildlife. 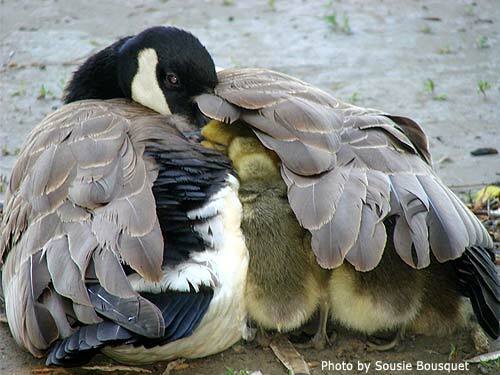 To foster Canadians connection to wildlife, CWF has been at the forefront of wildlife-related conservation education for over 50 years. Through iconic programs such as Hinterland Who’s Who and WILD Education, as well as unique programs such as WILD Family Nature Clubs and Wild About Gardening, we create opportunities to encourage people to participate in individual conservation actions. Our education programs are designed to fit with formal curriculums and create experiential learning opportunities. Building on a positive connection with wildlife, these programs encourage Canadians of all ages, through their personal areas of interest to experience, enjoy and value nature. The foundation of CWF’s conservation programming is based on finding solutions to ensure healthy wildlife populations. We focus our efforts on the challenges facing the most vulnerable species but will also respond to species not formally at-risk that require help. 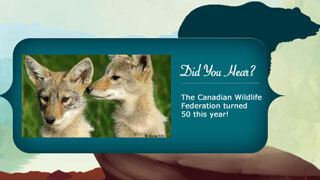 CWF’s Endangered Species Program is the main source of non-government funding for species at-risk recovery in Canada. This work will keep abundant healthy wildlife populations at the heart of our Canadian identity. Wildlife and people all need a healthy habitat to live. CWF creates opportunities for people to take part in habitat conservation at the personal, community and landscape levels. Our highly regarded Backyard Habitat program helps people garden on their property with wildlife in mind. Drawing together local, provincial and national partners, we deliver unique community stewardship programs like Love Your Lake. Projects such as our land-use planning model for the western boreal forest – one of the largest areas covered by such a model in the world – influences landscape level development. This tiered approach compliments CWF’s goal of connecting Canadians to nature by providing a range of opportunities for people to participate in habitat conservation. For CWF Endangered Species projects please click here. Update your Supporter profile, check out Supporter benefits, download exclusive online materials.